About 100 metres upstream from the road bridge over the Wairoa River, there is a deep hole near the bank of the river on the Tauranga side. 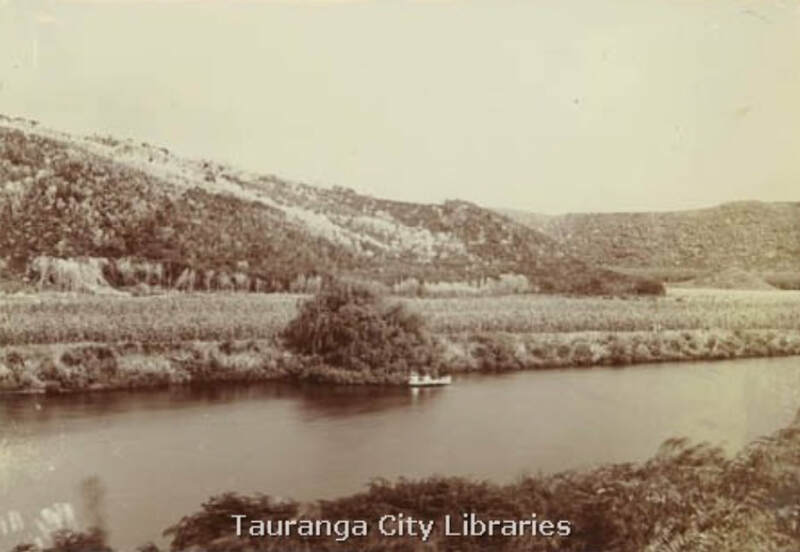 This is the home of Te Pura and the road down there nowadays is called Taniwha Place. Te Pura was also the name of the pa that is now called Wairoa, on the hill above the road bridge. The people of Te Pura knew about the taniwha in the river and mostly left it alone. One day, though, some young men of the pa decid-ed to have a bit of fun as they were feeling bored. A group of them went down to the river, to the bank by the tani-wha's home. They made sure the taniwha was out before they plunged into the water. They dived right into the nest-ing place of the taniwha in the deep hole in the river, and took away all the eggs of the taniwha. They put the eggs in a kit and took them back to the pa.
That night the taniwha returned home to find its nest had been robbed of all its eggs. The taniwha climbed out on the bank. It knew, in some magic way that a taniwha has, what had happened. It climbed up the hill to the pa, following the scent of those cheeky young men who had stolen its eggs. It found the wharepuni where they were sleeping, but it did not disturb the people inside. It crept carefully through the door and looked around. The kit full of eggs was hanging from the rafters. The taniwha stood up on its hind legs, reached for the kit and turned back toward the door. Unfortunately, it misjudged the size of the doorway and crashed into it, bringing down the lintel. The sleepers awoke in time to see the great tail of the taniwha disappearing through the doorway. They huddled together in terror, not knowing what revenge the taniwha might take on them for stealing its eggs. All was silent. After a while curiosity overcame their fear and they looked out of the wharepuni. They saw the tani-wha in the moonlight, making its way back down the hill to the river. They followed at a safe distance and saw the taniwha plunge back into its home in the hole by the bank of the river. Nothing else happened that night but next morning there was some explaining to do. What made the lintel fall down from the doorway? The young culprits who stole the eggs of the taniwha had to admit what they had done. They were really told off by the elders of the pa. 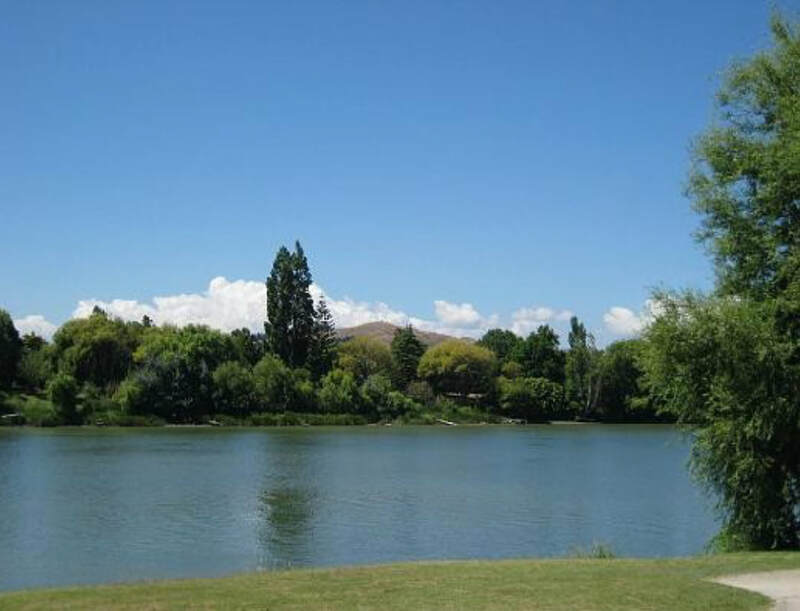 The people of Te Pura felt they had to acknowledge the generous action of the taniwha in not taking its revenge on the people of the pa when it had been so badly treated. It was decided that the people of Te Pura should adopt this taniwha, and be responsible for its welfare. In times when food in the river was scarce the people of Te Pura made sure the taniwha had enough to eat. In time this taniwha became known as the guardian taniwha of Te Pura and was called simply Te Pura. The taniwha acknowledged this concern by watching over the local people. Whenever they went into the river, it took care that they met with no accident. If a child went out of his depth and was in danger of drowning, the taniwha gently nudged him back into shallow water. One day one of the men of Te Pura, who was called Te Teira, decided to outfit a canoe and sail with his family back to Hawaiki. 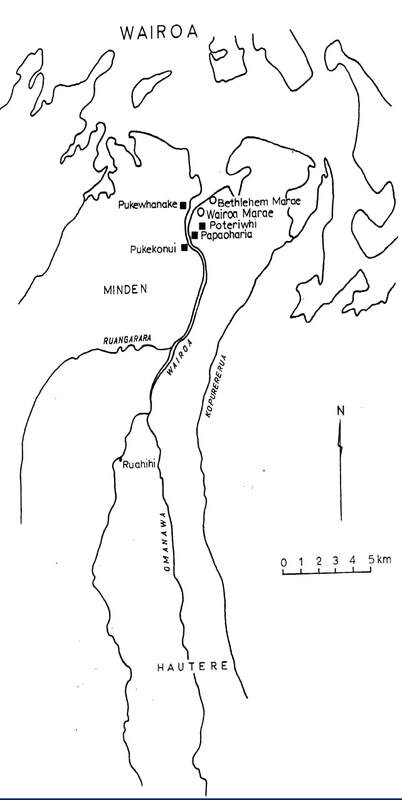 Preparations were made for the expedition and when all was done to equip and provision the canoe, the family sailed out of the Wairoa, out of Tauranga Moana and into the great ocean, Te Moananui a Kiwa. For several days they sailed north-east in fine weather and away from Aotearoa. They were well out of sight of land when a great storm blew up. The wrath of Tangaroa descended on them in great foaming waves. The winds of Tawhirima-tea tore through their rigging. By the time the storm blew itself out, Te Teira and his family were lost in unknown seas. Te Teira called on the four winds of heaven for guidance. From the ocean depths there appeared a taniwha. It was none other than Te Pura, the guardian taniwha of Wairoa. The taniwha knew it would be needed. Te Teira gave up the idea of re-turning to Hawaiki. He did not know where it was anyway. The sight of Te Pura, his own guardian taniwha, made him realise that his destiny lay back in Tauranga Moana. The taniwha led the peo-ple in their canoe back to the shores of Aotearoa. The height of Mauao came into view, and the bush-covered ranges from Otanewainuku to Te Aroha and on to Moehau. As the canoe entered the wa-ters of Tauranga Moana, the taniwha dived down and swam away back to its home in the deep hole.